"A stylish tribute...a visually accomplished piece which is both atmospheric and highly polished. Fernando has shown a strong directorial hand and a talent for capturing a striking image. " "A beautifully shot film about memory and desire...a critically and visually alluring portrait of a modern day poet." "... a moving and challenging piece, bringing her to life for those who are familiar with Audre Lorde¹s life and work, and inspiring curiosity in those who are not." 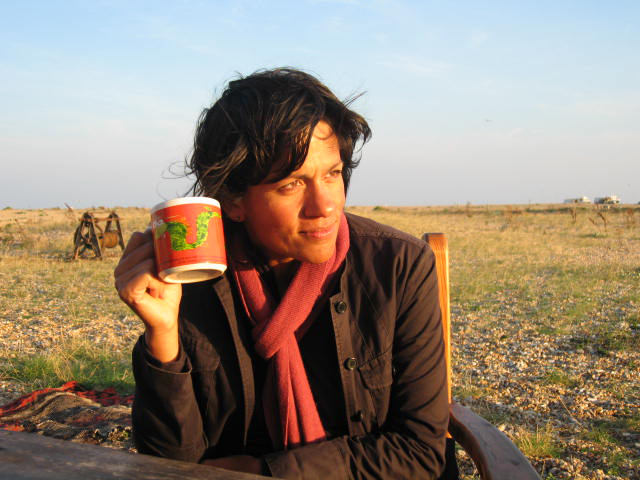 Sonali Fernando is a writer and filmmaker who has directed thirty films for Channel Four, the BBC and independent release. Working in documentary and drama, she has explored themes ranging from the contemporary art market to the new face of imperialism. Her credits include NINE DAYS THAT SHOOK LONDON, INDIA CALLING, MARY SEACOLE: THE REAL ANGEL OF THE CRIMEA, the multi-award-winning THE BODY OF A POET and the series GREAT EXCAVATIONS, which was filmed in fourteen countries and was shown around the world.